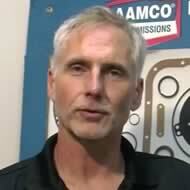 When it comes to engine repair and replacement, look no further than your local AAMCO South Tampa, FL center. At AAMCO South Tampa, FL, we know that engines that are driven properly and cared for can last thousands and thousands of miles. But even with the most cared for vehicles, sometimes things can happen out of nowhere. If an AAMCO check engine light check diagnosis determines you need a an engine replacement, you can be confident that the engine that will be installed into your vehicle will provide years of dependable service. At AAMCO South Tampa, FL, we only use the highest quality AAMCO-approved replacement parts renowned for their quality and reliability.